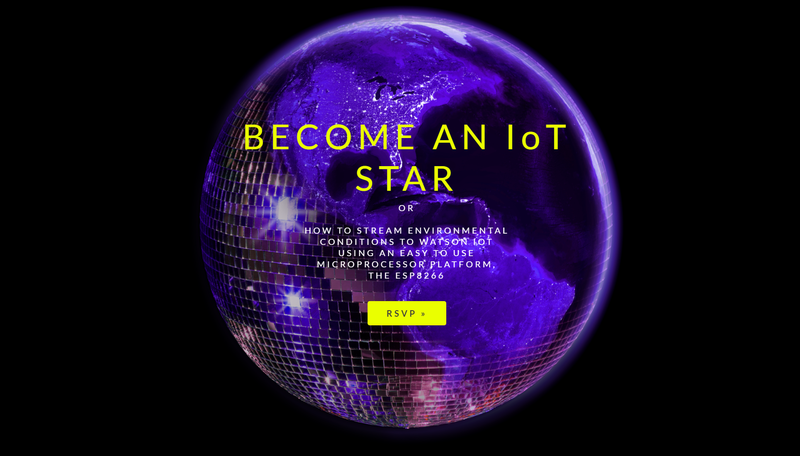 Tonight in NYC: ‘Become an IoT Star’ – Learn to Stream to @IBM’s Watson IoT Using ESP8266 | #NYCDEV #IoT #IoTuesday « Adafruit Industries – Makers, hackers, artists, designers and engineers! Learn how to connect an ESP8266 to Watson IoT over MQTT and stream environmental data from the sensors to the IBM Cloud. Discussion will include ESP8266 programming, IoT Security, MQTT, Watson IoT Platform, Node-RED, cloud storage, data analytics and visualization techniques.